Over the past year, three CUSD 201 administrators earned exciting honors. Westmont Jr. High School Assistant Principal Amy Quattrone earned the distinction of the Illinois Principal’s Association 2017 Assistant Principal Award in DuPage County, while John Jonak earned the Illinois Principal’s Association in DuPage County 2016 Principal Award. 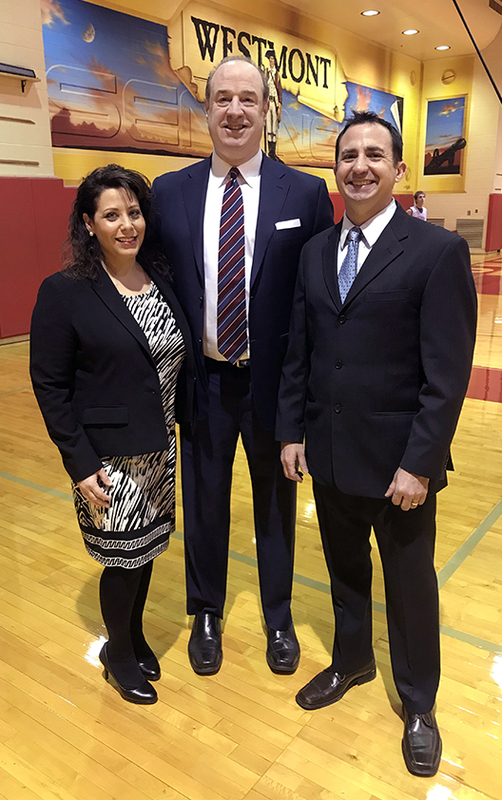 Also, Jack Baldermann earned the title of Illinois Principal of the Year on behalf of the Illinois Principal’s Association and was listed as one of the top 3 High School Principals in the country. Congratulations to CUSD201 on your amazing success - keep up the great work!